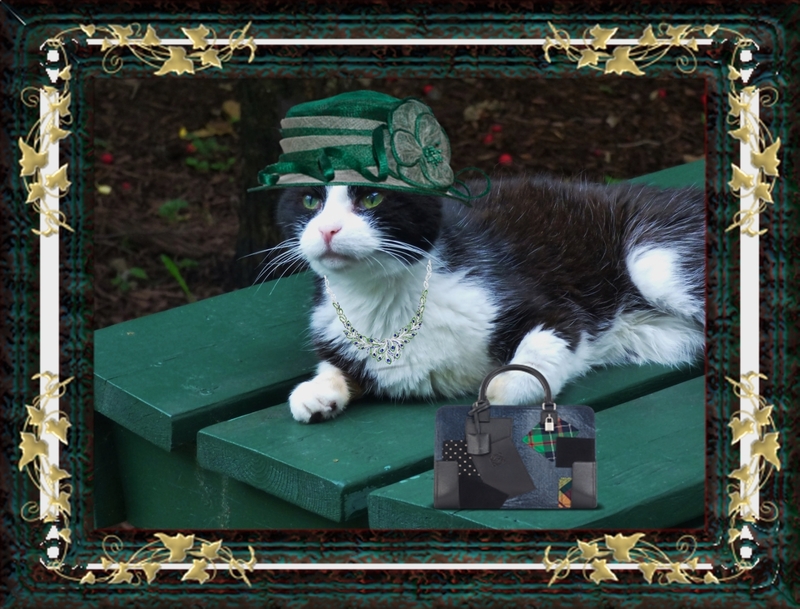 The 3-Ds have once again visited their local haPURRdashery and come out with looks to suit each of their tastes! Here Dante is in a rust-coloured straw fedora with bowtie in matching tones. 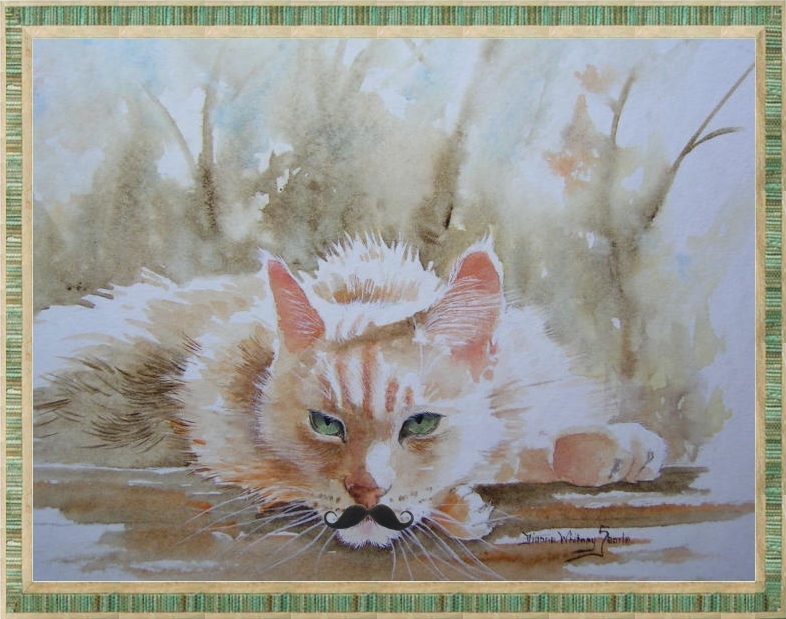 He is sporting a strawberry-blonde moustache as well and thinks it makes him appear rather distinguished. And just when you think he couldn't get any more handsome! 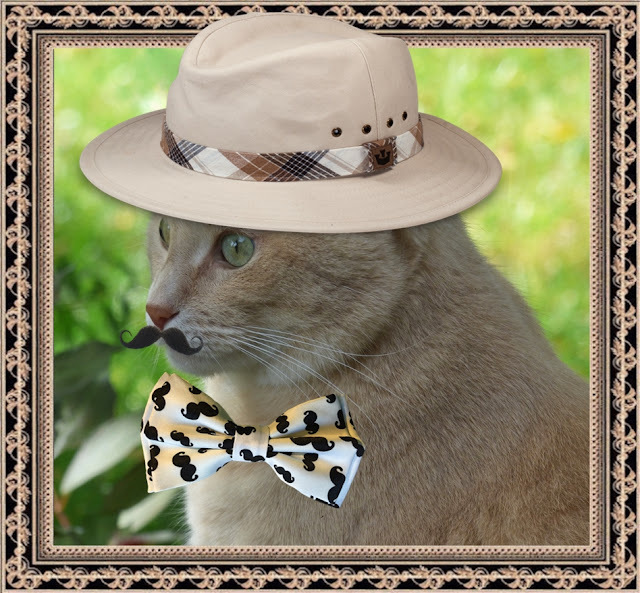 Dylan has chosen an ivory safari hat with a brown, black and white plaid band. 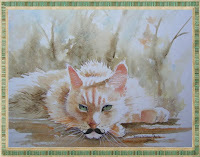 He, too, is modelling a moustache of the French variety -- many of them, in fact, because his bowtie is replete with them. 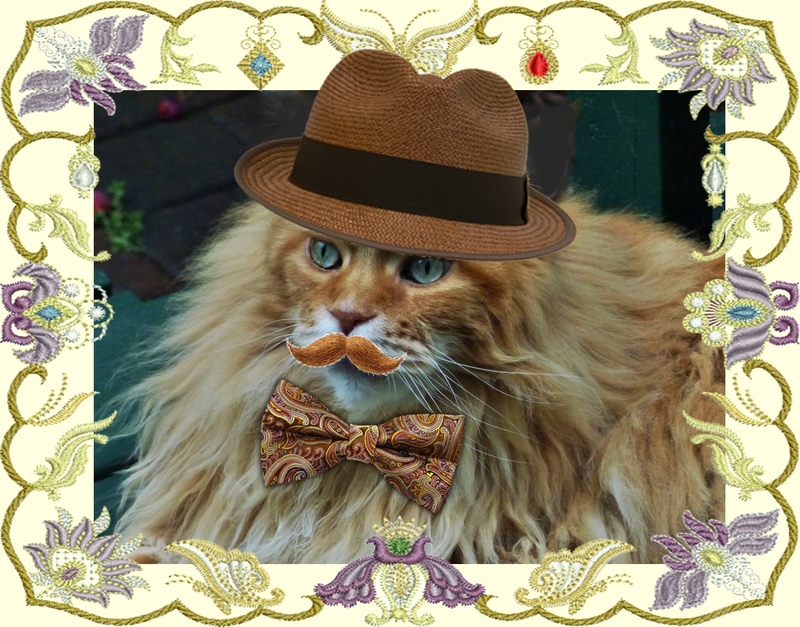 I must say he looks rather like Inspector Poirot in this outfit -- or would that PURRhaps be Inspector PURRot in this PURRticular case? Not to worry, Domino isn't sporting any extra hair. She's much too feminine and deliCAT for that! Domino has selected a green and off-white creation to cover her pretty little head. It is adorned with a large flower and curly ribbons to great effect. Her silver necklace is studded with green stones which pick up on the tones in her hat. She has also chosen to carry a black patchwork purse with just a hint of green to tie in with all the rest. Domino is a vision of loveliness with her sparkling green eyes accentuated by today's selections. But then, she's always a standout in any surroundings!